PGR offers the main Online Marketing Services specially directed at B2B companies in the IT Sector. Each of those services is personalized according to the client type; manufacturers, distributors, partners… and the experience gained over the last ten years enables us to advise firms on how to manage their Online Marketing activities to achieve such goals as to: Generate traffic for the site, win positioning in Google, gain in online visibility, set up communities in social networks and ultimately, generate Leads. Our SEO Consultancy service enables us to improve the visibility of your Company and its business via search engines such as Google. Thanks to the internal optimization of your page (SEO On-Page), visits and Lead generation via the web will be more effective in the mid and long term. This will increase your visibility online in a natural way without having to invest your money in online advertising. PGR manages both SEM and PPC Campaigns. SEM Campaigns are centered on the online advertising offered by Google AdWords which enables you to grow the web traffic and Lead generation potential of your web more quickly. We also run PPC Campaigns on Social Networks such as Twitter, LinkedIn or Facebook. This is the best short term strategy to generate new business for your company. The Inbound Marketing methodology we have been employing with our clients for a number of years takes in the main Online Marketing techniques through which we make sure that our future clients can find us, are keen to know about us and feel supported in their decision making process. The key to Inbound Marketing strategy is to have quality and personalized value content right for our Buyer Persona. This way we can attract your target public to you. We have been HubSpot partners in the IT Sector for a number of years in Spain. The HubSpot platform is based on an Inbound Marketing methodology and enables us to manage all our necessary activities, tasks and tools to make sure they are performed well and thereby achieving greater success in our all-round strategy. Thanks to Hubspot’s Automated Marketing Platform, we can get the most out of your web and make it into a magnet for attracting potential clients. Our Lead Nurturing service is focused on creating an automated workflow that enables our Prospects to continue advancing along the Buying Cycle via a series of automated email marketing and value content techniques. Lead Nurturing comprises four phases in which we are able to apply personalized communication to answer doubts and attend needs in order to qualify the Lead. Our IT Community Manager Service is angled at Tech companies that need tech savvy social network managers that most agencies cannot provide. 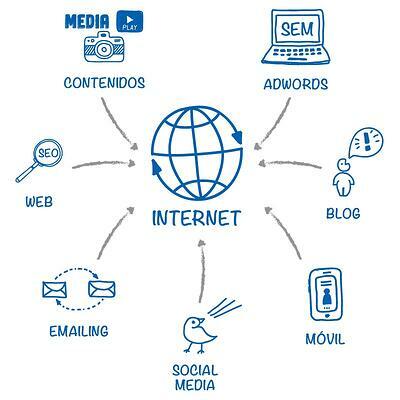 PGR as a Marketing Agency specializing in IT companies manages social profiles for Technological Manufacturers, Partners and Distributors contributing additional value to the traditional service of Community Manager thanks to our experience and knowledge of the IT market. PGR offers personalized training and Workshops for Sales and Marketing Teams of Tech Companies. The aim of these is to train in Online Marketing, Social Networks, Inbound Marketing or Lead Generation through LinkedIn. Training companies enables them to get their teams up to date and bring the best out of them. Our experience working with technological companies over the last ten years enables us to offer high value added services and expertise in our role as a leading Online Marketing Agency for the IT sector. Request information about our services of Marketing Online for the IT sector.